Studenica Monastery, located in the Raška district of central Serbia, is the largest and richest of Serbia’s Orthodox monasteries. It was founded near Studenica river in the late 12th century by Stefan Nemanja, also known as Saint Simeon, who established the medieval Serbian state. His remains, as well as those of his wife Anastasia and of the first Serbian king, Stephen the First-Crowned, rest in this monastery. It is there that Stefan Nemanja’s youngest son, Saint Sava Nemanjić, initiated the independent Serbian Orthodox Church in 1219 and wrote the first literary work in the Serbian language. The complex’s two principal monuments, the Church of the Virgin and the King’s Church, enshrine priceless collections of 13th- and 14th-century Byzantine paintings. Studenica became the most important monastery in Serbia, and has remained so to the present day. Studenica is an outstanding and well-preserved example of a Serbian Orthodox Church monastery. Enclosed by an almost circular wall strengthened with two fortified gates, it features an array of exceptional monuments, including the main church at the centre and monastic facilities along the encircling wall. Churches and hermitages are located in the area surrounding the monastery, as well as the quarries and vestiges of a settlement for the workers who mined and shaped the marble used to build the Church of the Virgin. The Church of the Virgin, which served as a model for other monastic churches in the region, was built in the distinctive Raška School of eastern medieval church architecture that blended the Romanesque and Byzantine styles. The exterior of the domed single-nave church is reminiscent of Italian Romanesque cathedrals, while interior wall paintings in the naos and the sanctuary reflect trends of monumental paintings that emerged after the fall of the Byzantine capital of Constantinople to the Crusaders. Characterized by a new concept of space and a new expressiveness, these paintings represent a milestone in the histories of both Byzantine and Western art. The modestly scaled King’s Church was founded in 1314 by King Milutin, who commissioned the renowned Salonican painters Michael and Eutychius to decorate the church’s interior with frescoes. At the King’s Church these court painters created the most perfect expression of their style. Their remarkable Cycle of the Life of the Virgin Mary is among the leading works of Byzantine art, its density of forms, volumetric rendering of faces as well as bright colors, shadows, and light being perfectly executed a secco. Criterion (i): The King’s Church houses the most beautiful frescoes painted by Michael and Eutychios, the famous painters from Salonica. Not long after the church was built, they painted the Cycle of the Life of the Virgin Mary, which is among the leading works of Byzantine art. After having worked at the Church of Peribleptos in Ohrid and having painted a series of Serbian churches for King Milutin (those of the Virgin of Ljevisa, Zica, Staro Nagoricino, Gracanica, etc. ), these painters found the most perfect expression of their style in the Studenica King’s Church. With highlighting in bright colors, shadows and light executed a secco, the density of forms and volumetric rendering of faces are combined with an astounding execution, the perfection of which is very close to that of icons,. Criterion (ii): The Church of the Virgin served as a model for other churches built in a distinctive style called the Raška School, which constitutes a special branch in eastern medieval church architecture. This royal mausoleum was imitated at Banjska, Dečani and the Holy Archangels of Prizren. The wall paintings of the naos and the sanctuary, executed in 1208-1209, are among the first examples of the “monumental style” which emerged in various regions after the fall of Constantinople in 1204 to the Crusaders. These paintings, which are characterized by a new concept of space and a new expressiveness, are an essential milestone in the history not only of Byzantine art, but also of Western art. Cimabue, Duccio and Giotto were also a part of this trend in the second half of the 13th century. Criterion (iv): Studenica is an outstanding example of a monastery in the Serbian Orthodox Church. It has had the good fortune of preserving not only an array of exceptional monuments (churches, refectories, monks’ quarters from the 13th to the 18th centuries) inside its circular wall, which has two fortified gates, but also extremely significant surroundings. In the protected zone there is a host of churches and hermitages, the marble quarries from which the blocks for the Church of the Virgin Mary were drawn and the remains of a medieval settlement for the quarry workers and stonecutters. Criterion (vi): Studenica represents the high point of Serbian history. The monastery contains the remains of the first Serbian ruler and the Studenica founder, Saint Simeon, the remains of his wife Anastasia, and also the remains, shroud and coffin of the first Serbian king, Stephen the First-Crowned (Stefan Prvovenčani). This is where Saint Sava Nemanjić, the founder’s youngest son, wrote the first literary work in the Serbian language. From here he also founded the Serbian Orthodox Church, which gained independence from the Ecumenical Patriarchate. Up until the 19th century, Studenica remained the symbol of this culture, in somewhat the same way that Rila Monastery (included on the World Heritage List in 1983) was that of Bulgarian culture. All the elements that sustain the Outstanding Universal Value of Studenica Monastery are located within the boundaries of the 1.16-ha property. There is also a large 269-ha buffer zone. The property is therefore of adequate size to ensure the complete representation of the features and processes that convey its significance. The state of conservation of all the monuments, especially the very delicate wall paintings, is good, and their condition is constantly monitored by relevant experts. Conservation and restoration works in the exonarthex of the Church of the Virgin were in the service of restoring its original appearance and were preceded by serious archaeological and architectural investigations. The property does not suffer unduly from adverse effects of development and/or neglect. A complete and intact set of attributes conveys the Outstanding Universal Value of the Studenica Monastery, including its forms and designs, materials and substance as well as uses and functions. All conservation and restoration works have been carried out in the original materials and traditional techniques and in no way threaten the authenticity of the monuments. They are accompanied by detailed architectural, artistic, archaeological, and historical documentation that justifies their selection and assures their authenticity. Known threats and risks to the property include environmental pressure and the number of inhabitants. Water accumulation near the monastery is also considered to be a potential threat. The owner of the property is the Serbian Orthodox Church, and the owner of most of the area included in the buffer zone is the Republic of Serbia. Studenica Monastery benefits from the highest level of legal protection in the Republic of Serbia, established by the 1994 Law of Cultural Heritage. The monastery area is additionally protected by the Special Purpose Spatial Plan of the Golija Natural Park and the Golija – Studenica Biosphere Reserve (MAB); the Official Gazette of the Republic of Serbia, No. 16/2009; the Kraljevo Municipality Spatial Plan (in preparation); and the Construction and Zoning Master Plan for the Studenica Monastery protected surrounding area (in preparation). Management of the property is the responsibility of the Serbian Orthodox Church and the Government of the Republic of Serbia. Maintenance of the property is funded by the Serbian Orthodox Church, the Republic of Serbia, and the Municipality of the nearby town of Kraljevo. 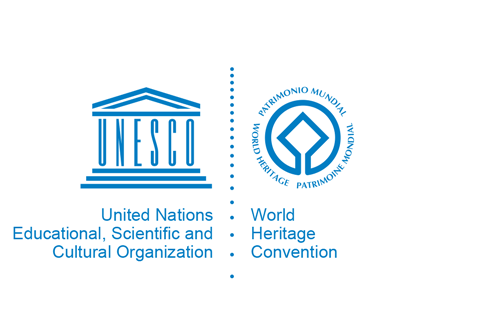 Jurisdiction is divided among several governmental institutions, including the Institute for the Protection of Cultural Monuments of Serbia and the Regional Institute for the Protection of Cultural Monuments in Kraljevo for preventive protection, conservation, restoration, and presentation; the Institute for the Protection of Cultural Monuments of Serbia for archaeological research; and the local museum in Kraljevo for the safekeeping of archaeological material. All monastery and protected area conservation and restoration work projects are subject to approval, clearance, and monitoring by the expert committee responsible for the Studenica Monastery, which is an agency of the Serbian Ministry of Culture. The Institute for the Protection of Cultural Monuments of Serbia is responsible for preparing a management plan, which has been in progress since 2011. Key indicators for monitoring the property have been identified, though there is no formal monitoring programme. Sustaining the Outstanding Universal Value of Studenica Monastery over time will require completing, approving, and implementing the management plan for the property, the Kraljevo Municipality Spatial Plan, and the Construction and Zoning Master Plan for the Studenica Monastery protected surrounding area; implementing a formal monitoring programme; and addressing the known threats and risks to the property, including environmental pressure, the number of inhabitants, and water accumulation near the monastery.